For Over 29 Years, Drilex has played a leading role in the advancement of downhole motor and power section design. Formerly a directional drilling and downhole motor company, Drilex pioneered the introduction of the multi-lobe power section. 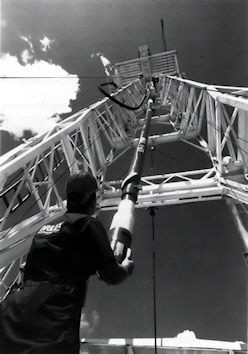 During that time, Drilex developed a reputation of reliable and dependable downhole tools and drilling services. Today, Drilex specializes in the design and manufacturing of power sections for drilling and thru-tubing mud motors. Engineered for today’s drilling technology, Drilex power sections have been designed to master the most demanding applications. Customized power sections are a hallmark of Drilex where customers have sought a better solution than settling for what is on the shelf. All power sections are not created equal. Of course, there are fundamental differences in dimension, power, speed, and torque. But just as important are the factors of reliability and durability, not to mention technical support. The field of downhole power sections is one of the industry's most specialized. Drilex has always been a proven performer in this market and has received much recognition for our leadership, expertise, and innovation. 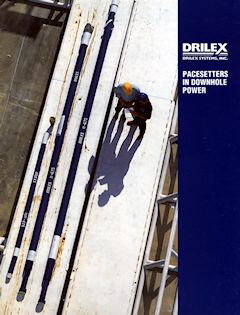 Drilex power sections are designed for today's modern drilling technology. Our power sections permit a much higher torque capability than older, traditional power sections. Because greater power is derived from increased torque, rather than speed, Drilex power sections reduce tool wear and minimize stalling. Regardless of the application, Drilex power sections bring to the job more power, reliability, flexibility, and proven performance.